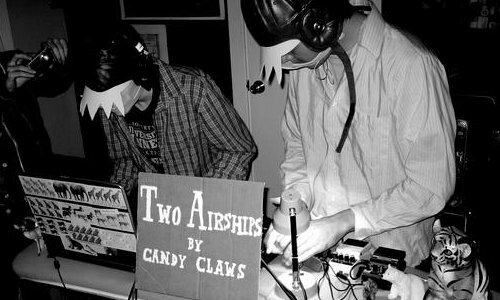 I would categorize Candy Claws and their single “Catamaran” as experimental pop in the vein of Panda Bear. “Catamaran” and the album from whence it came, Candy Claws’ debut LP In The Dream Of The Sea Life, has similar experimental characteristics, from the varied and incandescent instrumentation to hushed, melodic and oft indecipherable vocals. The theme is consistency and flow; each song transitions flawlessly into the next. “Diving Knife” features hushed, whispery vocals, acting as an introduction to Candy Claws’ unique sound. Here, the band divides its loyalties between the quiet sounds of bedroom pop and the eccentricities of experimental pop, fluttering between the two before launching into the highly melodic, beautiful noise of “Lantern Fish”. This harmonic consistency drives forward into “Starry Fighter Kite”. Again sans any sort of break between songs, In The Dream Of The Sea Life becomes somewhat of a concept album, entirely cohesive. The transitions follow the album name; the themes are, obviously, dreaminess and the ocean. One can truly view this as a whole, and it would likely be better taken in via such a manner. Yet each song does maintain enough presence to stand on its own. 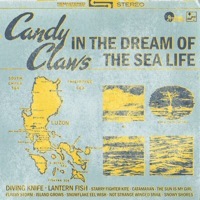 As a whole or alone, the experimental pop Candy Claws creates fits the aforementioned themes perfectly — you can hear the waves and the avant-garde sounds fit the nature of sleep. Songs like “Island Grows” and “Snowflake Eel Wish” are the audible realization of the atmospheric dream life. “Snowy Shores” concludes In The Dream Of The Sea Life, proving its place as an album with immense depth, obscured by walls built with experimental looped instrumentation, and calming through melodic consistency and beautifully gentle and subdued vocals. It all leads to Candy Claws being one of the most exceptional new bands to hit the scene this year. Just to let you know we are doing a CD of the Candy Claws album. Can be pre-ordered now. Hooray!